Payment in full is required to secure a place on the course. The industry standard, Western Australian government-approved training course to become an Approved Audiometric Officer (AAO) with WorkCover WA. The Audiometric Officer Course delivers comprehensive training in the skills and knowledge required to conduct accurate assessments to the specifications required by the rigorous WA government worker’s compensation authority (WorkCover WA). Course Dates: Public courses are conducted every 4-6 weeks in Perth. We also travel to conduct in-house courses for companies with several personnel to be trained. Through an engaging combination of lectures, exercises and hands-on practice our course teachers and Skills Coaches develop audiometric testers who can independently and confidently conduct hearing assessments on adults. After successfully completing this course graduates are eligible to register with WorkCover WA to become an Approved Audiometric Officer (AAO); the industry standard qualification in occupational audiometry in WA. WorkCover WA requires government-approved testers to be competent and on the final day of the course students undertake a written and practical assessment. Our staff prepare students with thorough one-on-one coaching and encouragement throughout the week and most students pass the course (97% pass rate over the last 10 years). The Audiometric Officer Course is taught to medium-sized groups with a high student-teacher ratio. This ensures students receive one-on-on, individually-tailored assistance to develop the key audiometry skills required to become a competent tester and pass the course. For training in states outside WA please see our 4-day Occupational Audiometry Course or 2-day Intermediate Audiometry Workshop. Individuals employed in occupational health and safety seeking the “industry ticket” to perform legislative hearing tests within Western Australia. Anyone seeking an audiometry qualification to assist with a career transition into occupational health & safety. Medical centre personnel interested in adding audiometry to their range of services for corporate/industrial customers. 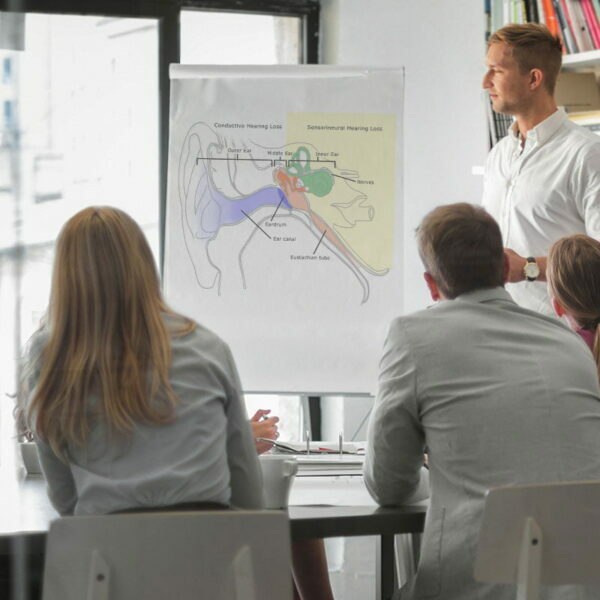 People currently practising audiometry in Western Australia who want to enhance their skills by undertaking training or to obtain a formal qualification. Where can I apply the skills learned during this course? Assessments of hearing ability for driving, diving or other requirements. Important: Steps to becoming a WorkCover WA Approved Audiometric Officer in Western Australia. Successfully complete a WorkCover WA online assessment. For more information on obtaining WorkCover WA approval please visit the WorkCover WA website or phone the Noise Induced Hearing Loss section on (08) 9388 5538.